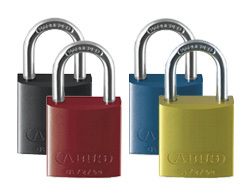 They are very popular as safety lock-off padlocks due to the various colours available. We are able to master-key these to any specification. A set can contain various keyed-alike suites within various colours and still be operated by a single or multiple master-keys. Each padlock comes with 2 keys and each full set comes with 2 master-keys. Additional master-keys can be cut at your own convenience. 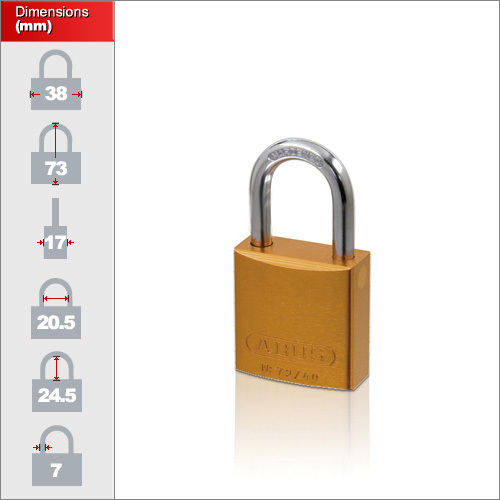 These locks are available in 7 different coliur. Black, Red, Blue, Green, Yellow, Orange and Purple. Important: When making your order please email us afterwards stating which colours you'd like to be included within your set. The aluminium range only comes in a 40mm size but in various different colours.